The largest and most densely populated of the Dutch Caribbean’s six islands, Curaçao is about 444 square kilometers and is separated from mainland South America by a deep ocean trench. The island has a volcanic core, with a hilly and semi-arid landscape, and is rimmed by fossil coral reefs. 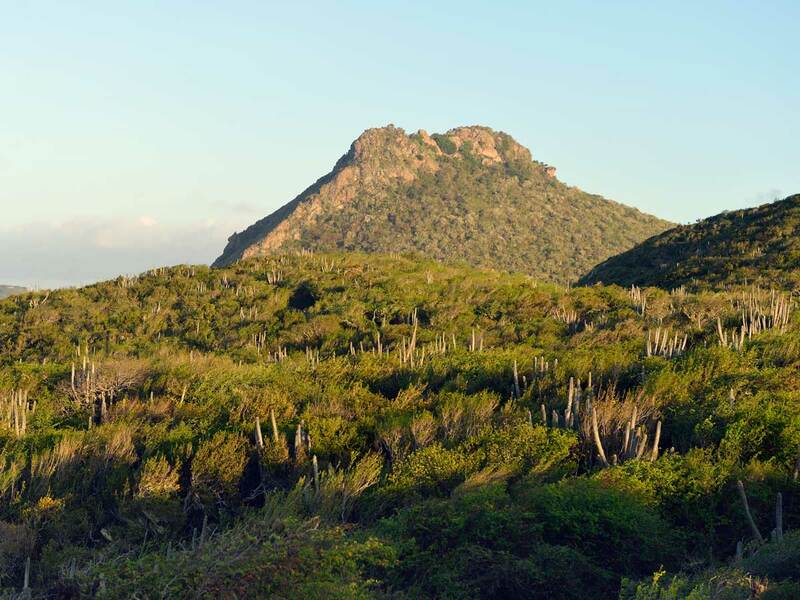 Its size and variety of habitats give Curaçao the greatest diversity of wildlife of all the Dutch islands, and it is rich with rare and endemic plants and animals. Its marine world, consisting of a pristine fringing coral reef, is a treasure trove of species unrivalled in the Caribbean. The Curaçao Underwater Park, located along the southernmost tip of the island, harbors pristine fringing reefs that are home to 65 species of coral and more than 350 species of fish. The park extends along the island’s southeastern shoreline from the high-water mark to the 60-metre depth line and includes three globally endangered ecosystems: mangrove forests, seagrass beds and coral reefs. On Curacao, the Caribbean Research and Management of Biodiversity (CARMABI) is a non-profit foundation on the island of Curaçao, Dutch Caribbean, established in 1955 as a marine research institute. The organisation has 4 pillars on which it works; scientific research on both marine and terrestrial ecological subjects, nature management of marine and terrestrial parks, environmental education and public advise and consultancy to third parties.